What happens if the News I let myself hear and see is of a different kind? 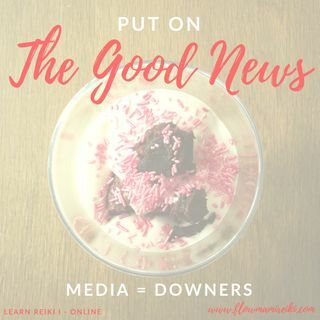 What happens if I start with a dose of Good News? Every Single Day? I will be reminded of the goodness of people. I will see positive stories from around the world. I will be reminded of the beauty and start to notice it more because my energy level starts to look for the match of what I've been letting into my psyche.